UFC on Versus 3: Sanchez vs Kampmann has been concluded, and he results are all in. Who among the fighters went home victorious? At long last, UFC on Versus 3: Sanchez vs Kampmann has ended and the results are in! 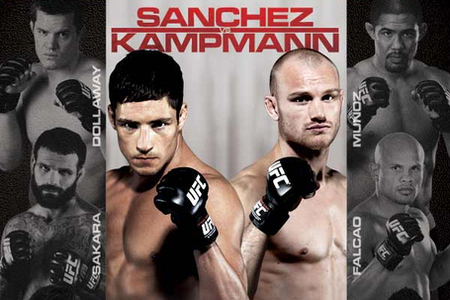 At the event’s main card, Diego Sanchez defeated Martin Kampmann via unanimous decision. The UFC on Versus 3 took place last Thursday at the KFC Yum! Center in Louisville, Kentucky. Who among your bets went home victorious? Check out the quick results below.